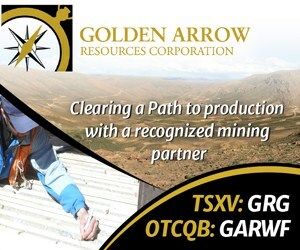 July 30, 2015 (Source: Marketwired) — HUDSON RESOURCES INC. (the “Company”) – (TSX VENTURE:HUD)(OTCQX:HUDRF) is pleased to announce that it has entered into a binding purchase agreement with a previously disclosed (NR2014-04), large North American materials company for the supply of Hudson’s White Mountain anorthosite product, to be used in the production of fiberglass. The purchase agreement establishes a minimum 10-year commitment for significant annual purchase of the product. Hudson will be a global supplier, providing anorthosite as a feed material to the company’s fiberglass plants around the world. Hudson expects to commence product shipments in the second half of 2016, subject to final permitting, financing and mine commissioning in Greenland. A new source of high-purity specialty alumina. The Company is rapidly advancing the fiberglass project at White Mountain and expects to commence site preparation this year. This news release includes certain forward-looking statements or information. All statements other than statements of historical fact included in this news release, including, without limitation, statements regarding plans for the completion of a financing and the intended terms and use of proceeds thereof, and other future plans and objectives of the Company are forward-looking statements that involve various risks and uncertainties. There can be no assurance that such statements will prove to be accurate and actual results and future events could differ materially from those anticipated in such statements. Important factors that could cause actual results to differ materially from the Company’s plans or expectations include market prices, general economic, market or business conditions, regulatory changes, timeliness of government or regulatory approvals and other risks detailed herein and from time to time in the filings made by the Company with securities regulators. The Company expressly disclaims any intention or obligation to update or revise any forward-looking statements whether as a result of new information, future events or otherwise except as otherwise required by applicable securities legislation.